Many casual backgammon players have never used a doubling cube, but it brings a significant amount of new strategy into the game and is credited with the longevity of the game by knowledgeable players. If you have never used the doubling cube or an opponent offers a double and you do not know what it is, it is time you learned about this interesting twist to basic backgammon. 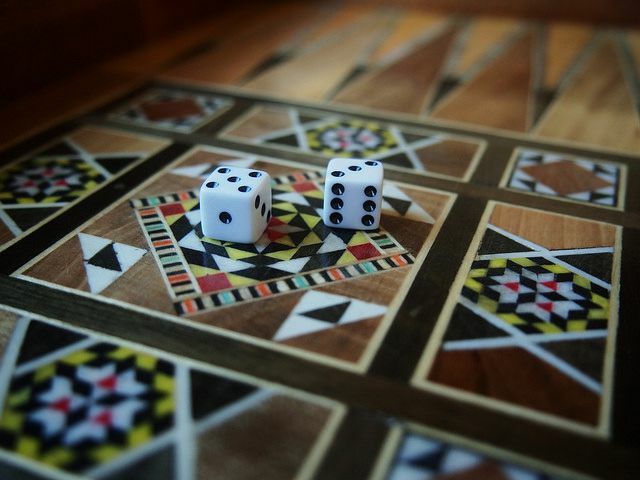 The backgammon doubling cube resembles a regular die, but it is a little larger and it has the numbers 2, 4, 8, 16, 32 and 64 printed on its faces. The doubling cube keeps track of the current stakes of the game. Backgammon can be played as a series of games with players competing to reach a certain number of points to win or as a set number of games, after which the player with the most points at the end wins. Backgammon players who play for money play for a mutually agreed upon stake per point. The more points the winner earns in a game, the higher the stakes won. Each backgammon game starts with a value of one point. The doubling cube is placed in the middle of the bar and is not controlled by either player. When a player feels he has the advantage in a game, that player can choose to offer a double before rolling the dice—effectively doubling the value of the game. The opposing player can turn down the offer but concedes the game by doing so and pays one point. If the opposing player accepts the offer, the value of the game doubles—from 1 to 2, from 2 to 4, or from 4 to 8, for example. When a player accepts a double, he takes control of the doubling cube and is the only player who can make the next offer of a double. Knowing when to accept a double and when to decline is a sign of a skilled backgammon player. Some backgammon players use "'beavers." When a player is doubled, he may immediately redouble (beaver) and maintain control of the cube. The original doubler can accept or refuse as with a normal double, but if he declines, he forfeits the game and loses the doubled stake. If he accepts the redouble, the game continues at quadruple the original stake. Some players use "automatic doubling." If the first roll doubles, the value of the game becomes two points. The cube remains in the middle where no player has control of it. Thereafter, normal doubling rules apply. You do not need to have a cube to play with doubling rules—a pencil and paper can be used as an effective substitute.